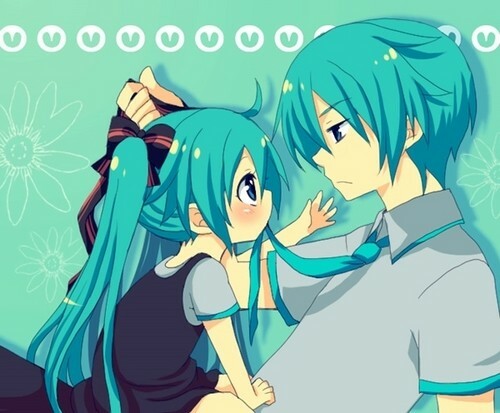 Miku and Mikuo!. . Wallpaper and background images in the 하추네 미쿠 club tagged: kawaii. This 하추네 미쿠 photo contains 애니메이션, 만화, and 만화책. MIKUUUUU AND RINNN 망가 COVER!! !